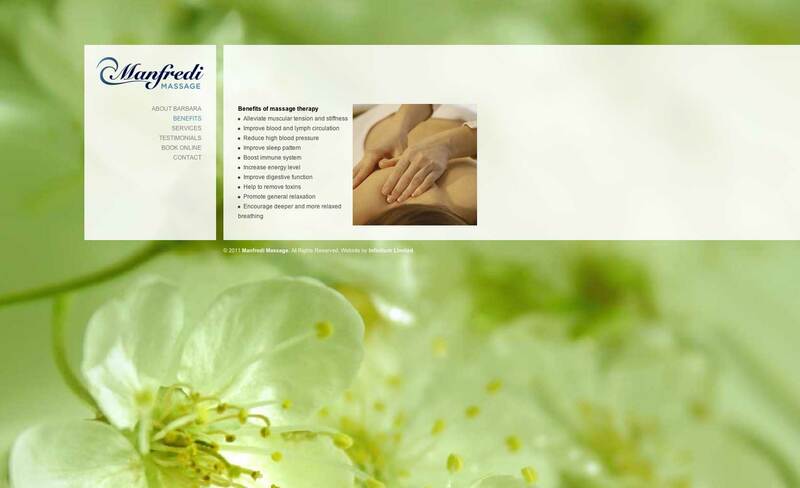 Infinitum laid out this image-based website for London small business Manfredi Massage. This was part of a whole marketing package that included the design of the logo as well. 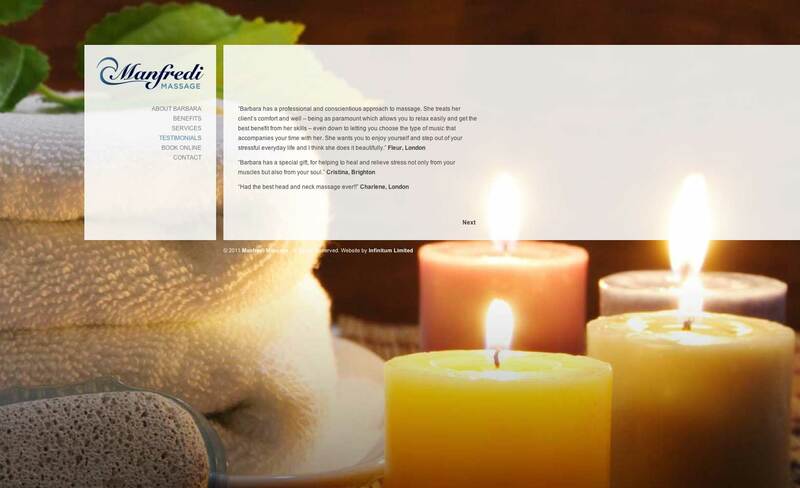 With so much competition in their field, Manfredi Massage needed something that would grab the attention of their customers. 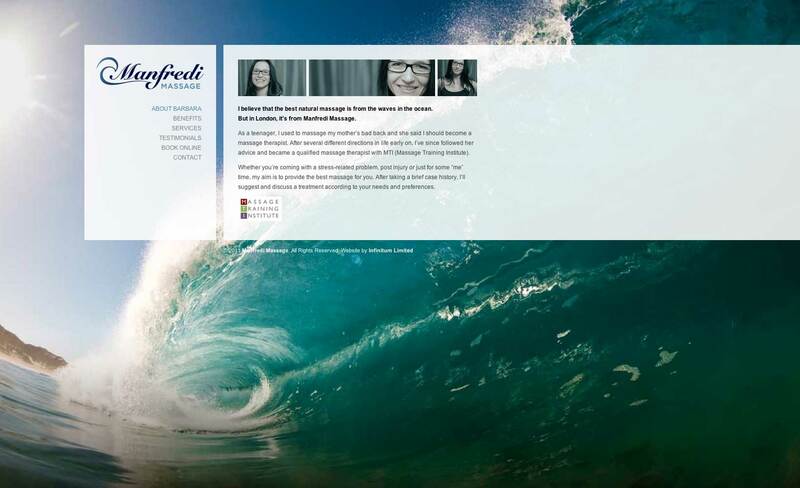 Relying heavily on strong background images accomplishes this goal, while keeping the look clean at the same time with a modern design. 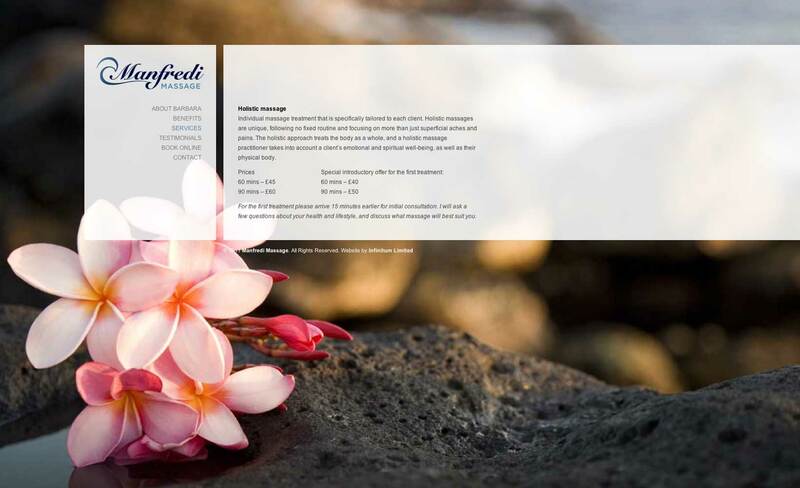 The long horizontal layout gives the site a soothing and tranquil feel and a booking form allows customers to make appointments online.